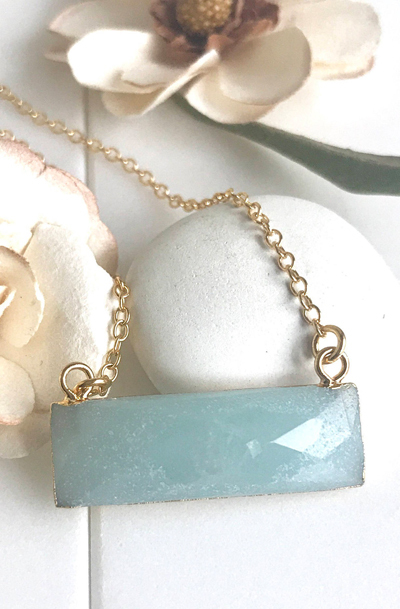 Amazonite Bar Necklace. Everyday Gold Bar Pendant Necklace. Dainty Gold Bar Necklace. Gift for Her. Layering Necklace. Beaded Necklace.